This tree looks like a miniature Queen Palm. A beautiful, solitary species from Southern Mexico with finely pinnate and densely plumose green leaves with very narrow leaflets. Usually has 5 to 9 plumose leaves with 120 to 170 irregularly arranged leaflets. The petioles get a white, chalky substance on them that can be wiped away. One of the largest species in the genus, it forms a trunk with up to 2.5 inches in diameter with prominent rings and looks somewhat like a miniature version of the Syagrus romanzoffiana / Queen Palm. 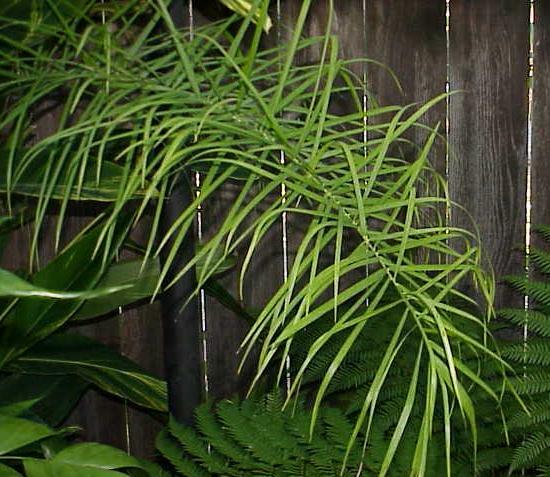 It will thrive in warm temperate to tropical climates and, unlike most Chamaedoreas. The light Requirement is usually filtered light and along the Coast, will tolerate near full Sun. Regular watering will be sufficient but best when kept moist. Plumosa will grow in almost any type soil, but will do best in rich fast draining loam. 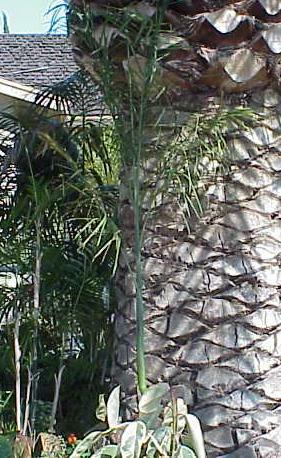 The growth rate is rapid as compared to other palms. Appearance is best when planted in multiples. Easily set seeds if male and female are in close proximity. 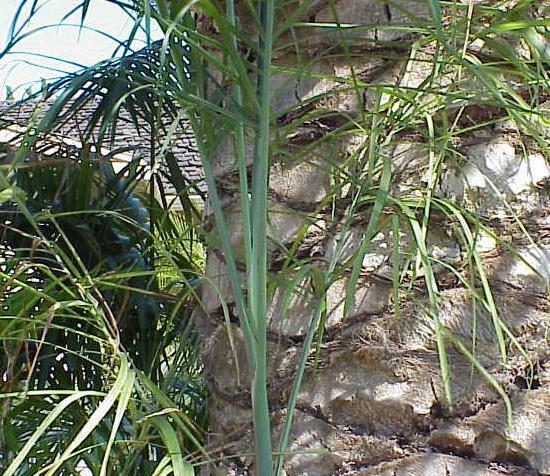 This palm is a dioecious plant which requires both male and female to produce viable seed. Fruit is black and about 0.4 inch round on orange bracts. This tree can also be grown as a houseplant.